Take a moment before you reshare that hilarious or terrifying image on your favorite social media channel of choice—is it, in fact, as authentic as it first appears? From political scenes to shark invasions, the web is rife with fake photos thanks to easy-to-use image editing tools and gullible viewers. Here’s how to make sure you don’t get caught out. Let’s start with the basics, as obvious as they really should be to anyone with a pair of eyes: Missing limbs, extra heads, and objects that are only half there are some of the tell-tale signs of a bad Photoshop attempt. Unfortunately for fake photo spotters, image editing tools are getting more accessible and more advanced, so it’s easier than ever to come up with forgeries that look genuine. If there’s nothing obviously awry with the picture in front of you, check for more subtle mistakes, like a shadow or lighting effect that just doesn’t look right. Even with the best editing tools around, it still needs a lot of skill to get colors, brightness, and contrast matched between the different parts of a composite photo. 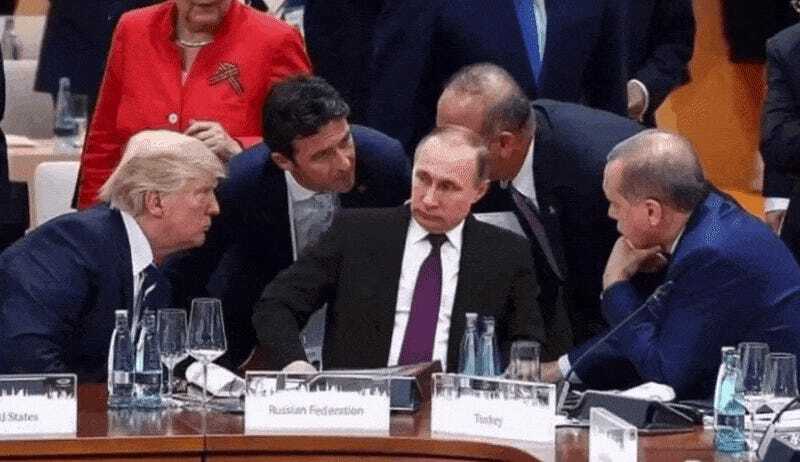 Take this image above, for example: Turkey’s Foreign Minister Mevlut Cavusoglu would be just about kissing the back of the head of the Russian President if it were real. Look for reversed or badly edited text, another sign that two photos have been mixed together, and anything that’s odd about the way an image has been cropped or the angle it’s been taken from—often done to hide the full truth about what the photo shows. If you have the image at a big enough size, zoom in as close as you can, as this will often reveal imperfections and mistakes you otherwise wouldn’t spot. Bear in mind you can study the backstory behind a photo as well as looking at the picture itself: Is the photographer a real person? Does the image match up with news reports? Are giraffes often found wandering in downtown Manhattan? A few minutes of detective work can quickly reveal the truth. The reverse image search—a search on the web for matches to a particular image—is one of the most useful tools available to a fake photo spotter. Use Google Image Search to search by file or URL (click the camera), or an alternative like TinEye to do the same job. What you might find are dozens of matches of the same photograph, which might not get you anywhere, but if you’re lucky the search will turn up the original, unedited picture as well so you can see which alterations were made. If the fake photo is a composite of several other images, again you might dig up the originals. 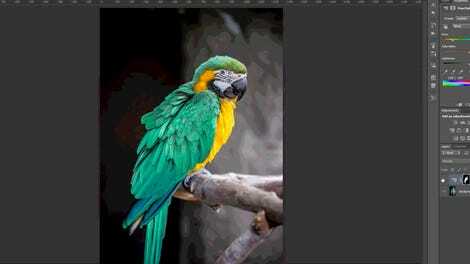 If you suspect that your potentially fake picture has been made by stitching two or more images together, try cropping in on certain sections of the photo and then running an image search on each part individually. A reverse image search can help identify an authentic photo as well as spot a fake—if you find the photo has been published by a reputable news organization on the web then it’s usually (though not always) going to be genuine. Again, look for details about where the photo was taken and by whom. 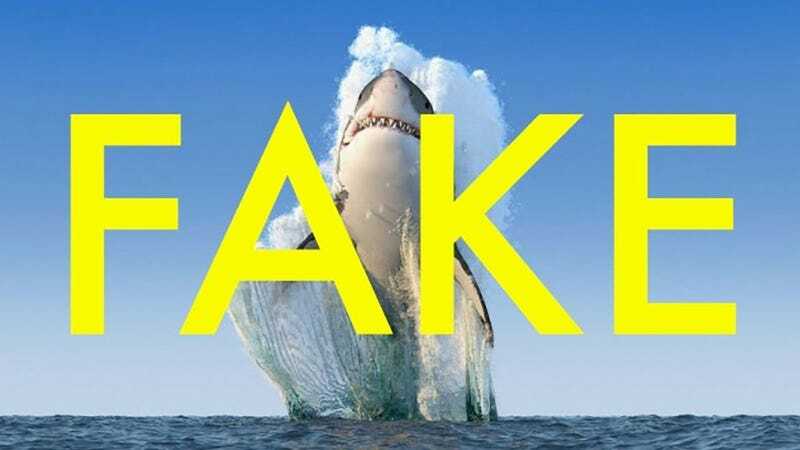 We’d recommend checking in on Snopes as well, which does a great job of debunking some of the most well-known fake photos out there, particularly the ones that keep getting recirculated again and again, sometimes years after originally getting debunked. Use the search box at the top to look for a picture. You can find yet more evidence for photo tampering if you dig deeper into an image and its metadata, all the data hidden away that you don’t see with the naked eye. EXIF data, which you can get at through your image editor or a web app, will show you where and when an image was snapped, unless the data has been wiped or doctored. Checking this data might not give you a definitive answer as to whether a picture is genuine—it’s actually pretty simple to fake or remove EXIF data, and a lot of online images won’t include it at all—but it might offer up some extra clues for your forensic analysis. Furthermore, you can also play around with levels and filters in a program like Photoshop, which may be enough to reveal edits—as was the case with this Nikon award-winning snap of an airplane. A quick adjustment in the levels was enough to reveal the cut-out, and you can experiment with similar tools in your own image editor. If you know your photograph then you can get even smarter with your forgery detection: Low-light shots, like the hot air balloon one we featured here, require a long exposure to let in as much light as possible—and that means fast-moving objects in the scene should be blurred. If they aren’t, alarm bells should be ringing in your head. You won’t be able to spot the difference between a fake photo and a real one 100 percent of the time, but the tips we’ve mentioned should give you a good chance of being able to clear up the question one way or the other. And if you really can’t make your mind up on a photo, check Gizmodo first.